This is odd. 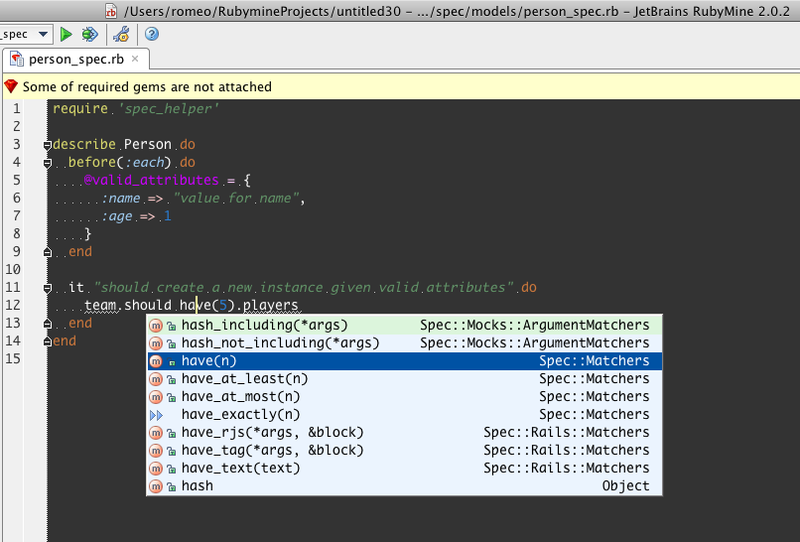 If I have a test file in spec/models, RM is not able to autocomplete the rspec matchers (have_*, etc). But, if I take this file and move it up a directory and just put it in spec, it works correctly. I don't understand why. I even tried adding the models folder as a test folder in the project settings, but that didn't work. Am I missing something or is this a bug? As soon as you are not in the 'official' folder, RM does not see the files. I just tried RC2 and it still has the same problem. It seems that spec_helper is getting included properly because I can mouseover it and it shows the correct path (and it isn't squiggly underlined).